The beginning of the month (CAN you BELIEVE it is JUNE?!) 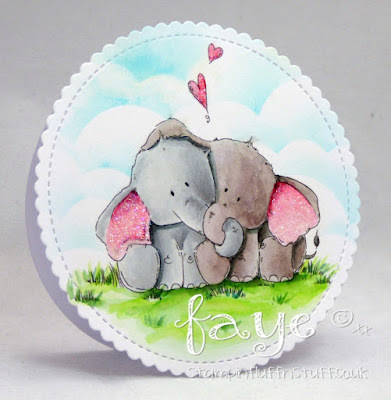 means time for a new Stamp of the Month from Stamping Bella. And this month it is the turn of Ellie Loves Phant Stuffies. Yep, in addition to being absolutely adorable, you get 20% off all month long, when purchased at Stamping Bella. UK Peeps, you can get Ellie Loves Phant from Dies to Die For. Just sayin'!